Prezentare (Signature Licks Guitar). 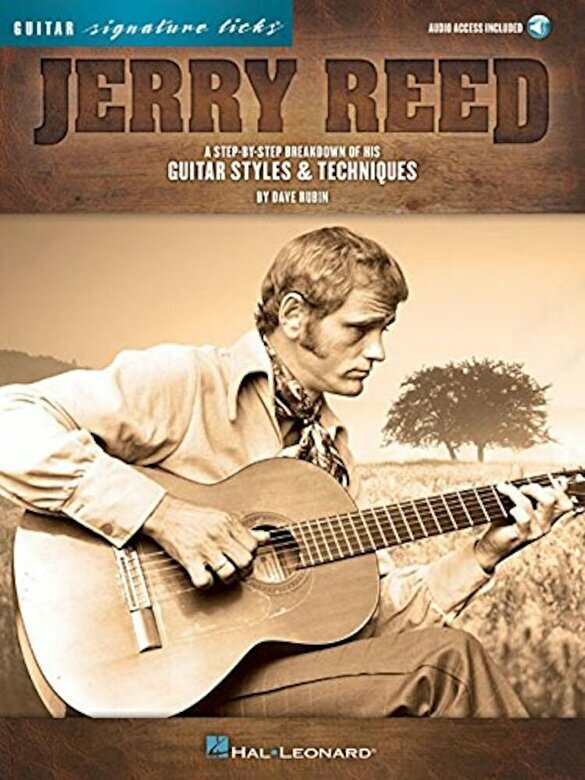 Study the virtuosic fingerstyle technique, bluesy expression and sophisticated phrasing of country guitar icon Jerry Reed with step-by-step breakdowns by Dave Rubin. Includes online access to full band audio demos at normal and slow speeds for download or streaming. Songs include: Amos Moses * The Bird * The Claw * Crude Oil Blues * East Bound and Down * Guitar Man * Navy Blues * Nervous Breakdown * Sugarfoot Rag * Texas Bound and Flyin' * Tupelo Mississippi Flash * U.S. Male.